Marjorie Richards could be my student. In fact, she could be anyone’s student. 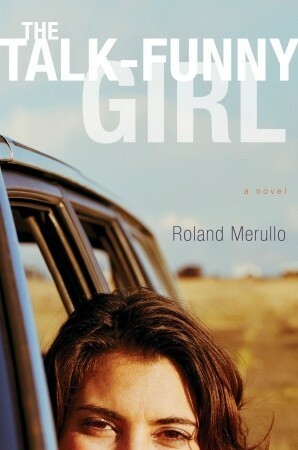 The seventeen-year-old main character of The Talk-Funny Girl by Roland Merullo haunted me for weeks after I finished the book. I had seen her before, lingering in the eyes and mannerisms of some of my teens. The fact that she was so relatable yet so distant was disturbing. Marjorie’s story is complex and multilayered. She lives in rural New Hampshire where teen girls are being abducted. Her abusive parents are so isolated from society that they have developed their own obscure dialect of language, a language that earns Marjorie the name “the talk funny girl” amongst her classmates. And her town has fallen under economic hardship with the closing of the local mill; in turn, she is forced to take on a job with a stonemason building “a cathedral” to support her unemployed parents. Marjorie’s transformation is raw, inspiring, and cathartic. Her story is riddled with poetic lines that provide this quiet character with a strong internal voice. In one passage she says, “I had my protective shell of funny talk and shyness, but underneath that lived a wilder me, a girl who would take punishment, and take it, and take it, but who would never let go of herself all the way, never completely surrender” (Merullo 87). As a reader, I both relished and resented her authentic responses to her surroundings. At times she was open with her emotions, clear and contemplative. Other times I struggled yet understood her willingness to stand silent. This ebb and flow made her even more real. Merullo found balance between maintaining a plot that lasts over years while also intertwining a thread of suspense. I began the book expecting one storyline and was forced to revise my predictions with the turn of every page. In the end, Merullo’s vivid writing, unique dialogue, and brilliant character development left an indelible mark.